New Delhi (CNN)The Seychelles is not typically associated with geopolitics. But beyond the white sandy beaches and tropical jungles, the tiny archipelago nation is emerging as a key player in India's battle to counter growing Chinese influence in the Indian Ocean. Jammu terror attack: Does India have a game plan to counter Pakistan's misadventures? Pakistan is like the bounceback toys sold in subcontinental markets. Hit them hard enough and they appear to topple, only to rebound and, if you are not watchful, whack you. As he nears the end of his fourth year as prime minister, Narendra Modi must be both exasperated and frustrated with the way his efforts to deal with Pakistan have turned out. Whatever he has thrown at Pakistan to bring it around, it never seems to learn, and keeps coming back for more punishment. Babasaheb Neelkanth Kalyani, chairman and managing director of the Kalyani group, speaks with Swarajya on indigenous defence production, Make in India, the guns and and engines developed by his group, and much more, in this interview. 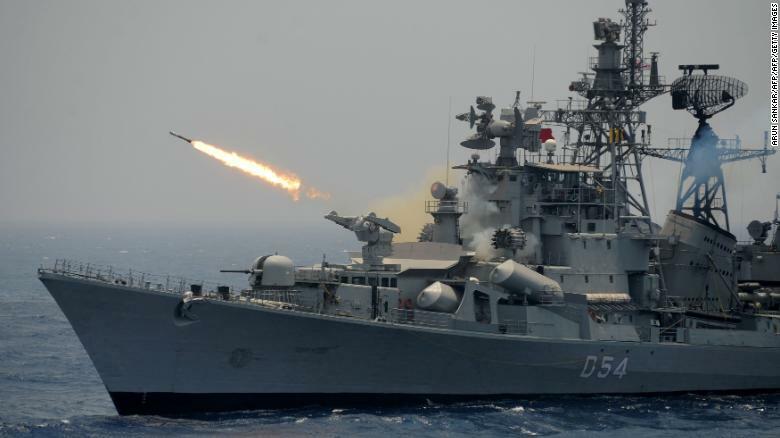 When most top Indian defence companies were seen vying for orders under the government’s new “Make In India” initiative, this company seemed in no rush, and continued to invest and innovate. Today, the Kalyani Group — flagship company, the Rs 4,000-crore Bharat Forge Ltd — boasts of having developed a highly sophisticated indigenous gun to enable our artillery force to fight Indian wars with Indian solutions. The gun has successfully completed trials in deserts and is now under trial in hilly terrain. Geopolitical factors, as well as Saudi Arabia’s own domestic landscape, could limit the relationship’s potential. On January 18, Chinese Ambassador to Saudi Arabia Li Huaxin praised Saudi Arabia’s Vision 2030 project and called for tighter integration between Saudi Arabia’s economic diversification efforts and the Belt and Road Initiative (BRI). 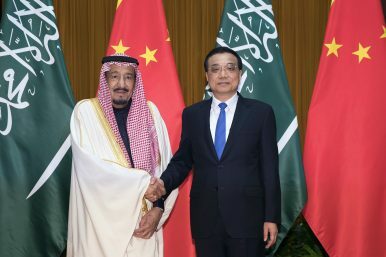 Li also expressed enthusiastic support for Saudi Crown Prince Mohammed bin Salman’s anti-corruption campaign, claiming that his efforts to strengthen the rule of law in Saudi Arabia would increase the country’s attractiveness as an investment destination for Chinese businesses. Although China declared that its J-20 stealth fighter had officially entered service in September 2017 production of the J-20 appears stalled. The manufacturer had planned to build three a month initially but since mid-2017 production appears to have been zero. There are several potential problems with the J-20 but the main ones have to do with stealth (the delicate materials on the airframe that make radar detection less effective) and engines. The most obvious problem is the engines. The WS-10s currently installed are a stopgap and not efficient enough to support supercruise (go supersonic without using the afterburner and becoming easier to spit). China has had persistent problems developing high-performance jet engines. China has been developing the more powerful (and supercruise ready) WS-15 engine since the 1990s for a larger aircraft like the J-20 but has not been able to get the engine to work. Officials also confirmed rumors that a WS-15 exploded during a 2015 static (on the ground) test. That failure had been a secret but when an engine this big fails by blowing up the incident is difficult to hide. 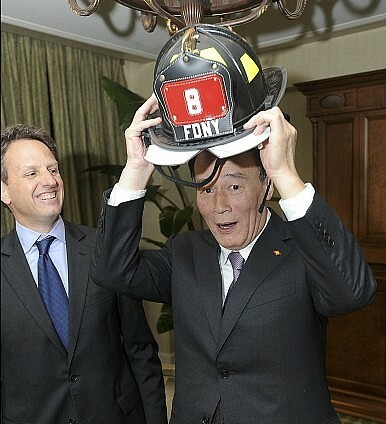 Wang Qishan (right) receives a fire helmet in recognition of his "fire brigade chief" nickname during a 2011 meeting with then-U.S. Treasury Secretary Timothy Geithner . Wang Qishan, Xi’s right-hand man, may reemerge as vice president after stepping down from his CCP position. Under President Donald Trump, the United States has adopted a hawkish stance on China. The Trump administration’s new national security and defense strategies identify China as a strategic competitor, and a threat to domestic security and the global order. More importantly, the Trump administration plans to contest China’s “unfair trading practices,” cyber intrusions, and expansionism in the Indo-Pacific. So this is what the Syrian war suggests about future conflicts: They will be intricately complex; they will involve conflict-specific configurations of participants; there will be no humanitarian intervention to stop them; and the United Nations will be a nonfactor. But that isn’t all. It gets even worse. Next week’s column will explain how. As two career military intelligence officers we appreciate Sanger and Broad’s tough critique on US intelligence agencies—especially considering one of us is a former student of Sanger’s. However, the tone and tenor that Sanger and Broad use is exaggerated and counterproductive to informing the public on the roles and capabilities of intelligence. 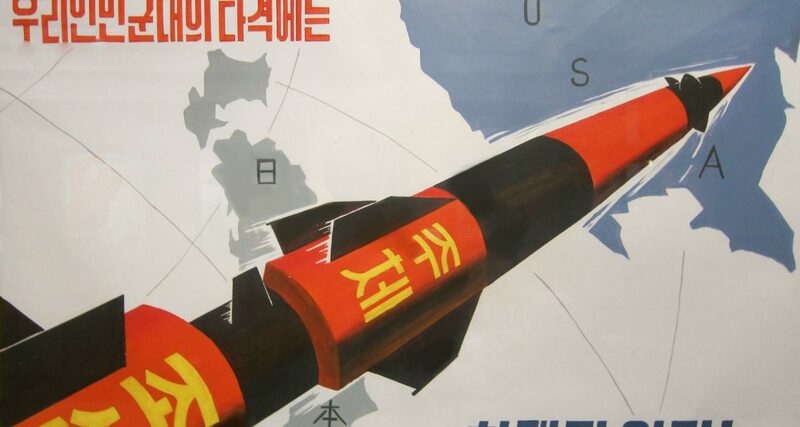 More fundamentally, calling US intelligence on North Korea an “intelligence failure” is simply wrong. WannaCry was incredibly destructive. The attackers made about $150,000 – but the total damage caused by WannaCry has been estimated in the billions of dollars. Russia's shadowy world of military contractors: independent mercenaries, or working for the Kremlin? Russian President Vladimir Putin, right, and Syrian President Bashar Assad in December watch the troops marching at the Hemeimeem air base in Syria. Putin's government denies Russian mercenaries killed in Syria worked on behalf of Russia. Stanislav Matveev left his home in the Ural Mountains in September to join a Russian private military company. Five months later, Matveev was dead, killed in a U.S. airstrike on Feb. 7 in eastern Syria. "Europe was fastest-growing region for real-terms defense spending in 2017. While this could be the result of US pressure, it also reflects changing threat perceptions," the report was quoted as saying on the IISS Twitter page. The US is to spend billions of dollars upgrading 150 nuclear bombs positioned in Europe, although the weapons may be useless as a deterrent and a potentially catastrophic security liability, according to a new report by arms experts. It’s late morning on a balmy September day. I try to summon the will to run from the bench where I’m sitting on Broadway and dive under the massive wheels of one of the trucks roaring past. Which section of my body, I wonder, should I hurl beneath the tires. Where would hurt the least, and soonest erase my suffering. I clutch my cellphone, hating its potential for rescue signals. After nine or 10 trucks pass me by, an unkempt man in his mid-50s sits on the bench beside me, plastic cup of lager in one hand, half-smoked self-rolled cigarette in the other. He looks me up and down and grins. Go away, jerk, I think to myself, shooting him an icy glance. Leave me be. With this weekend’s events shifting the country’s attention to envisioning the next potential war risks, the cyber-war playing field may once again come front and center. Unfortunately, in estimating the cyber dangers potentially posed by Israeli adversaries, the danger list may be so long, that it might be easier to assume they can do almost anything and only mention the few things they cannot do. A painting of a Defense Support Program satellite from the Air Force Art collection. DSP provides a variety of national security capabilities. Its flagship mission of launch detection was made famous during the Cold War. Weapons capable of jamming or destroying U.S. military and commercial satellites will reach initial operational capability in the next few years, according to a new intelligence report. The vast majority of cybercrime we deal with is opportunistic and automated. It is the domain of criminals trolling for the unaware and vulnerable. They target unpatched systems and vulnerable applications, exploit gullible end users, break through inadequate security systems, and infect people wandering around the web in places they probably shouldn’t go. For decades, fighting these cyber threats has been the primary job of cybersecurity professionals. Establishing controls, setting up a perimeter, hardening edge devices, inspecting traffic, regular patching and replacing protocols, and controlling access points are all security fundamentals that every security team practices, and that most traditional security devices are designed to support. Unfortunately, that didn’t always happen and we often resorted to buying the latest and greatest tools when a new threat emerged, reverted back to hard-wiring the integration of these new technologies, and then hoping it all worked together seamlessly to detect and mitigate threats. 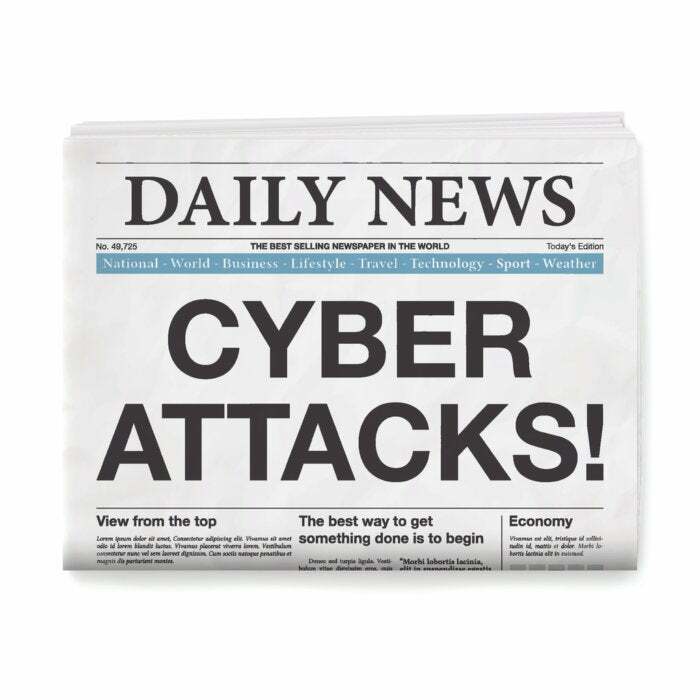 Cyber threats were real but manageable – and usually more disruptive than destructive. Anyone looking for a quick fix to the years-long debate over encryption systems that protect people’s personal information but frustrate law enforcement tracking criminals and terrorists won’t find it in a long-awaited study from the National Academies of Sciences, Engineering and Medicine released Thursday. The consensus report, produced by a panel of tech industry, law enforcement and academic experts, spends roughly 100 pages laying out the problems posed by warrant-proof encryption systems and by law enforcement’s efforts to access them.